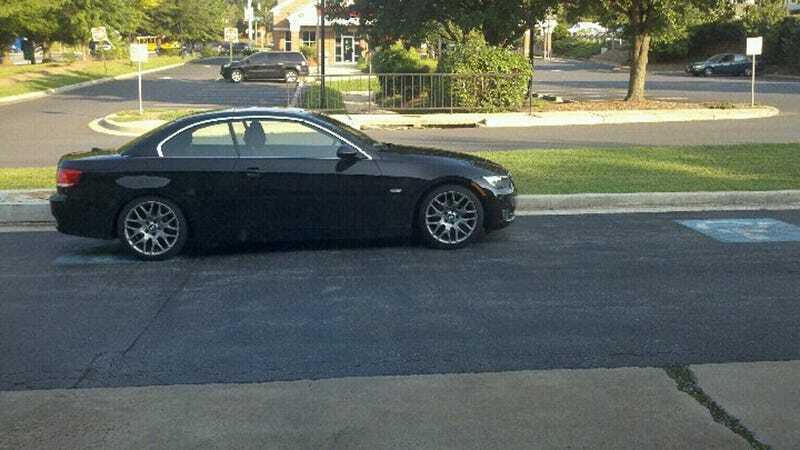 Here is a BMW parked in Germantown, Maryland, spotted by a Jalopnik reader. It has no handicapped placard, and yet it is parked across not one, but two handicapped spaces. Classy. Because parking on one handicapped space clearly wasn't enough.